HomeAyutthayaAyutthaya temples and culture with original Thai cuisine. Escape from Bangkok for a day and spend a relaxing time. We will be visiting many remarkable places of the province. Admire the soothing environment and beautiful architectures. Take a ferry to see the lords of the reign of King Rama 5. Worship Buddha And ancient temples of Ayutthaya. Have a coffee at a traditional Thai dessert shop. 'Bann Kanom Thai "
Travel to Ayutthaya is full of virtue. 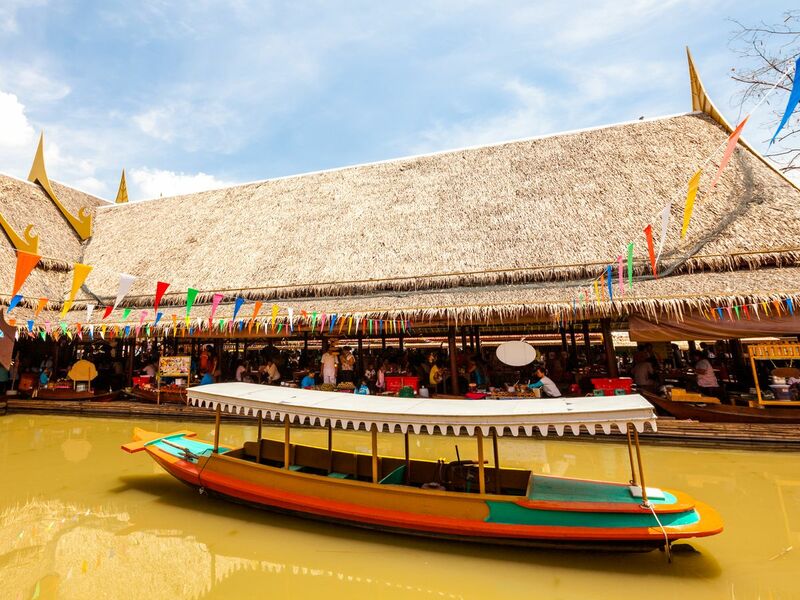 Traditional Thai food, snacks and native Thai lifestyle.Floating Market Feel free to get a rest.i have been there for more than 5 times and its like my place where i was born for .